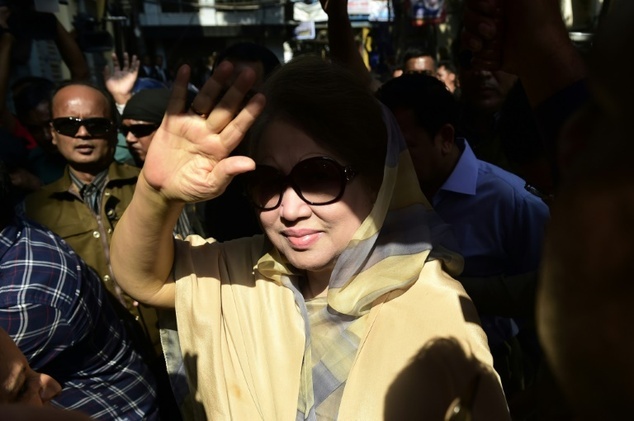 The verdict in Zia Charitable Trust corruption case filed against former prime minister and BNP chairperson Khaleda Zia and three others will be delivered today (Monday). Law enforcement agencies have taken all necessary preparations to tackle any possible chaos centering the verdict. EarlieroOn October 16, Judge Md Akhtaruzzaman of the Special Court-5 in Dhaka fixed the date. The three other accused in the case are Harris Chowdhury, political secretary of the then prime minister Khaleda between 2001 and 2006; Ziaul Islam Munna, assistant private secretary to Harris; and Monirul Islam Khan, APS to former Dhaka city mayor SadequeHossainKhoka. The BNP chairperson is now undergoing treatment at Bangabandhu Sheikh Mujib Medical University (BSMMU) under a special medical board formed by the government. She has been serving five years' rigorous imprisonment at Old Central Jail, as she was convicted in the Zia Orphanage Trust graft case on February 8 last.